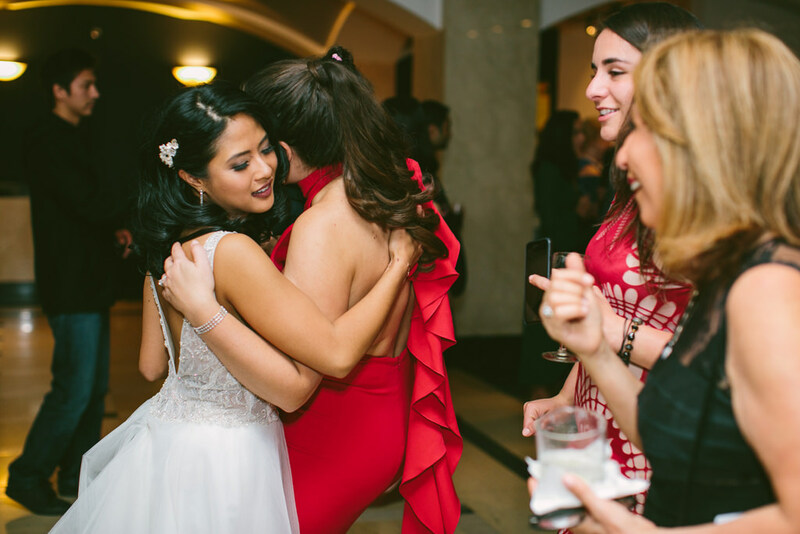 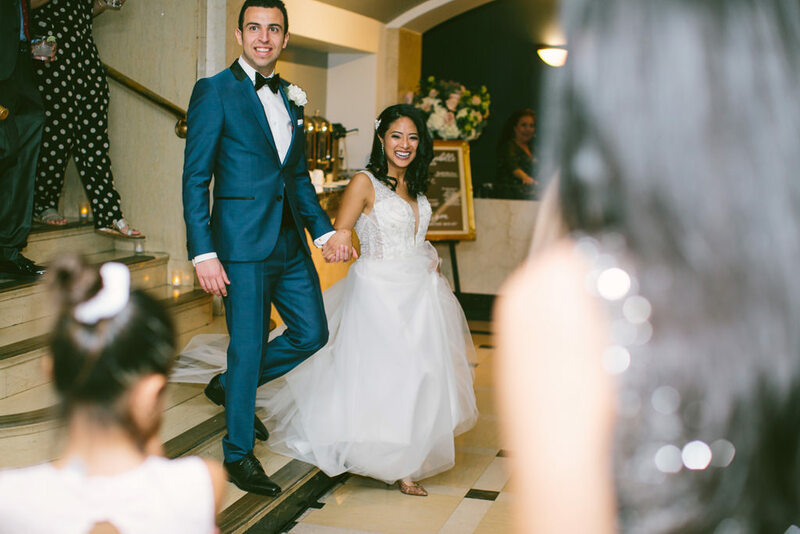 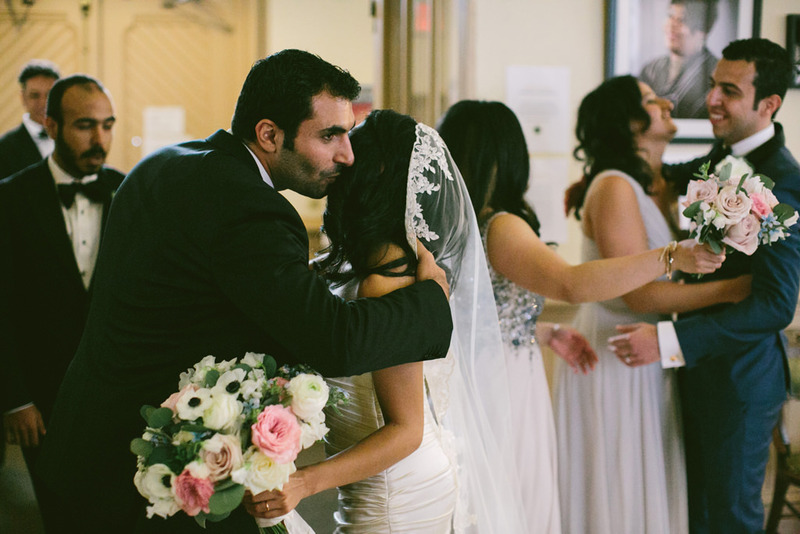 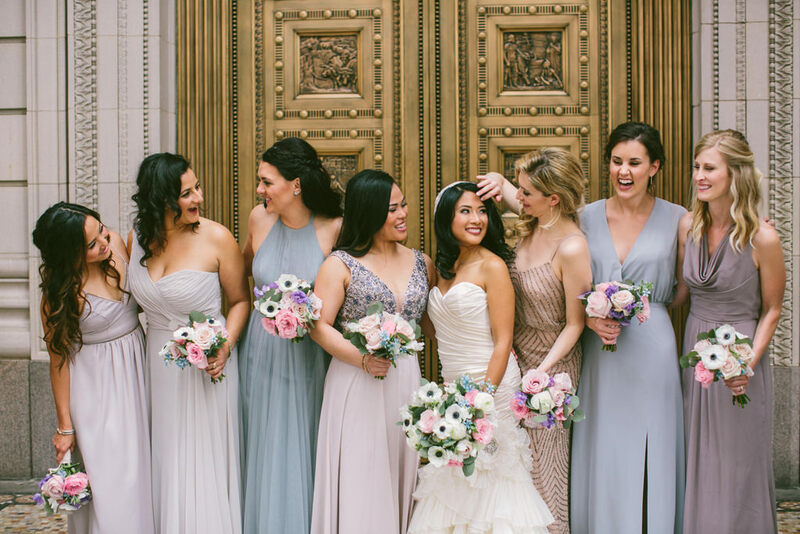 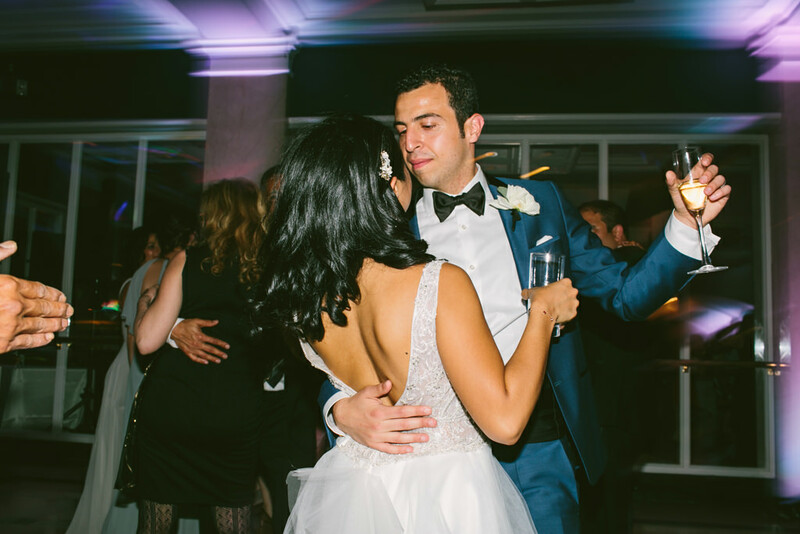 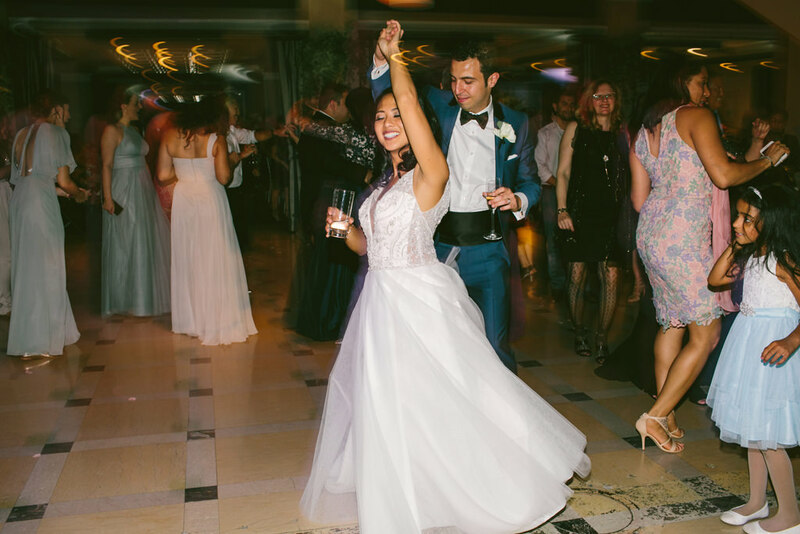 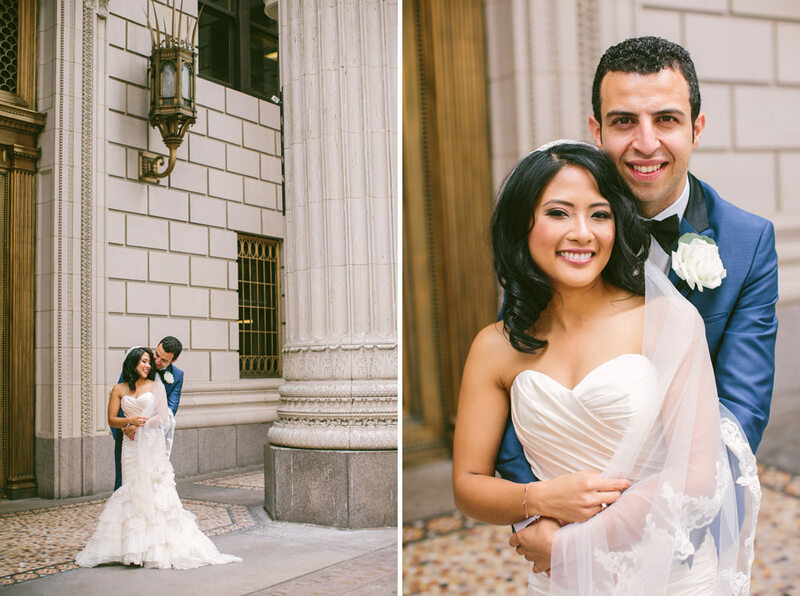 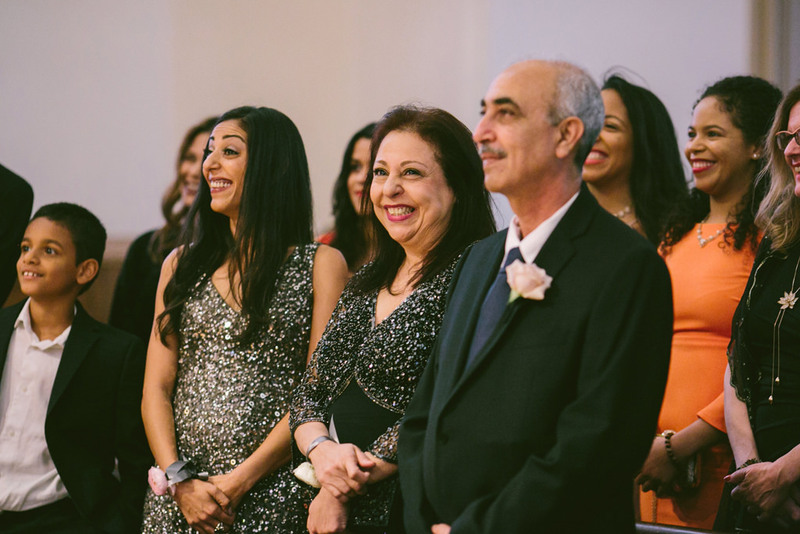 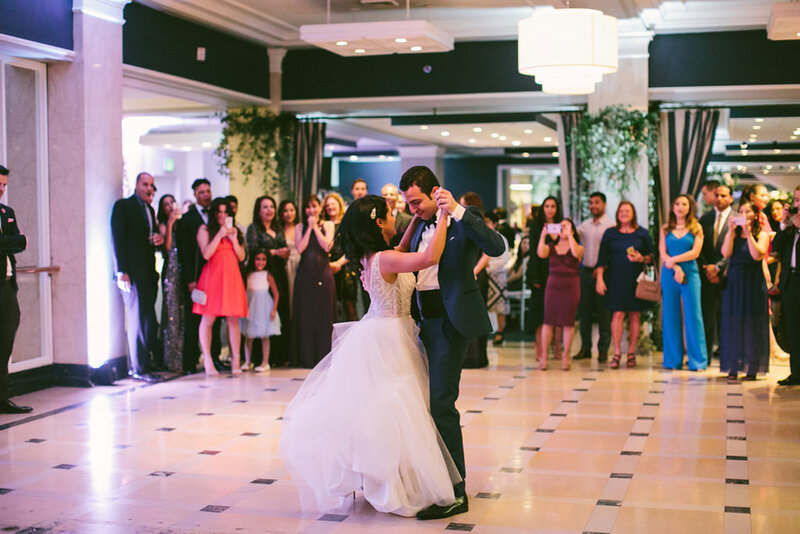 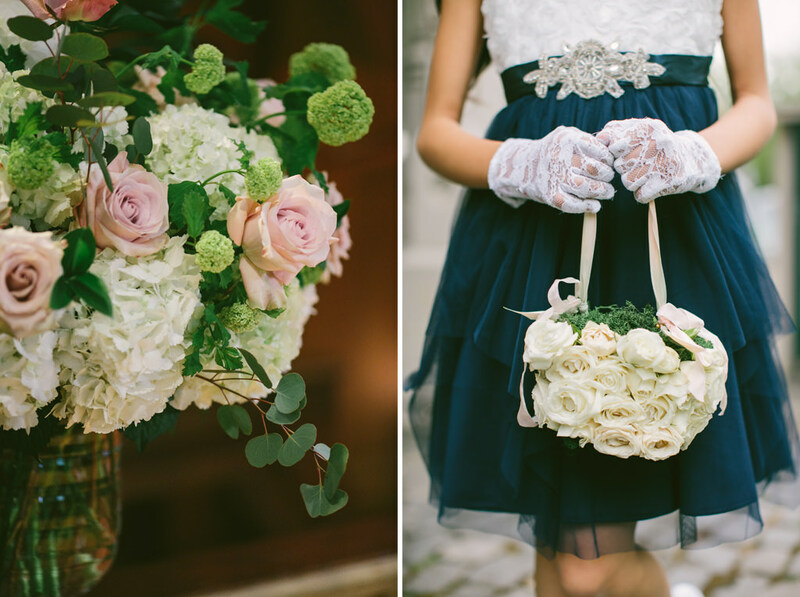 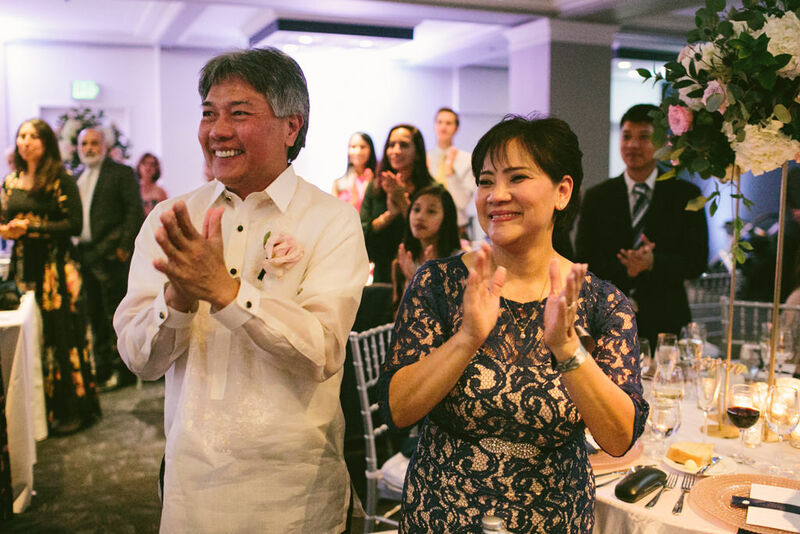 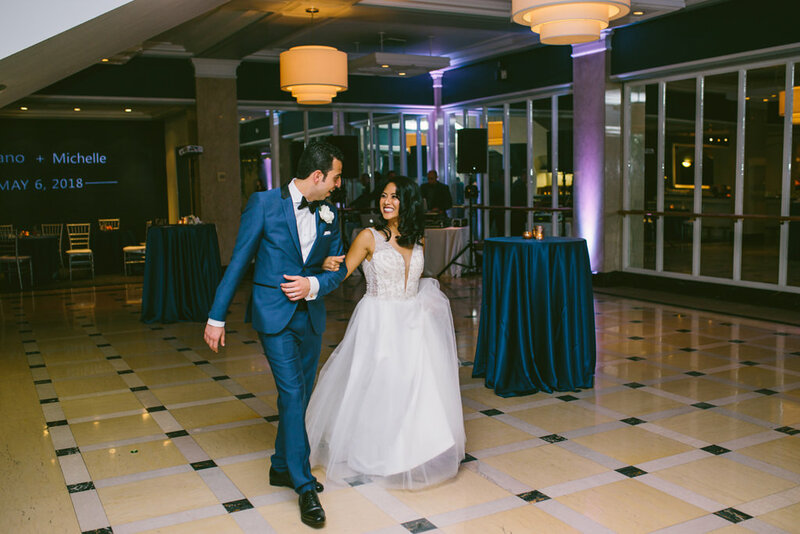 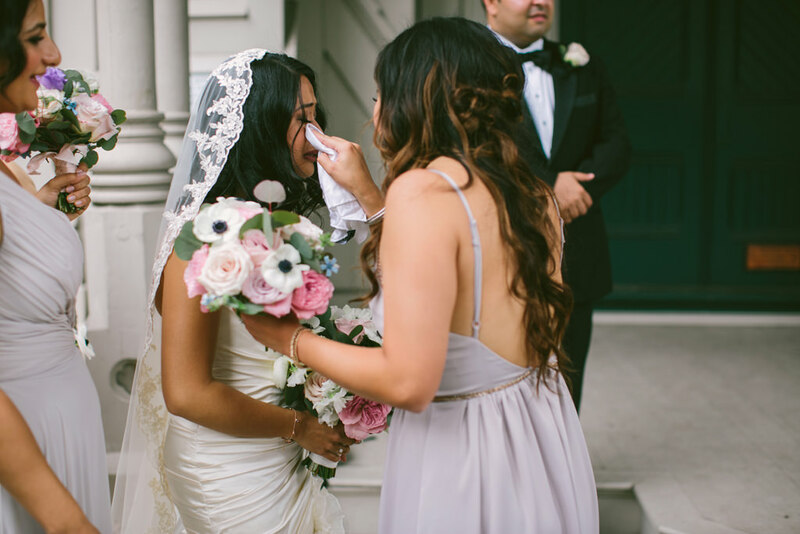 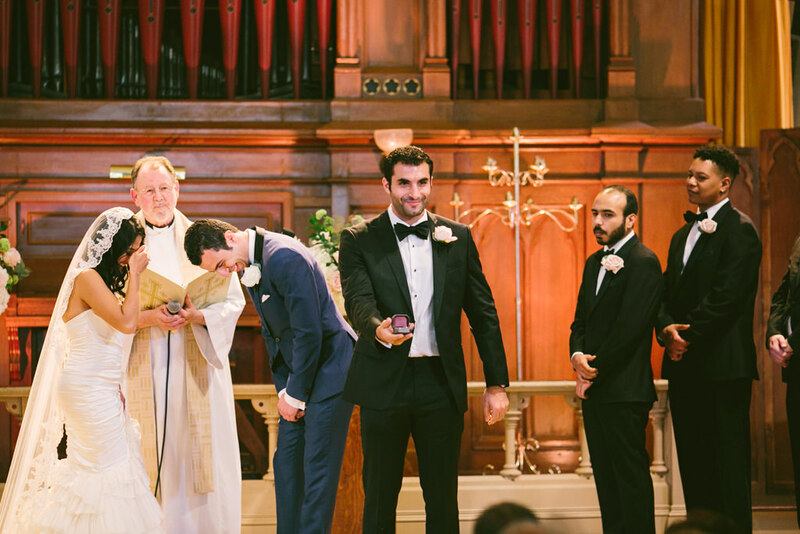 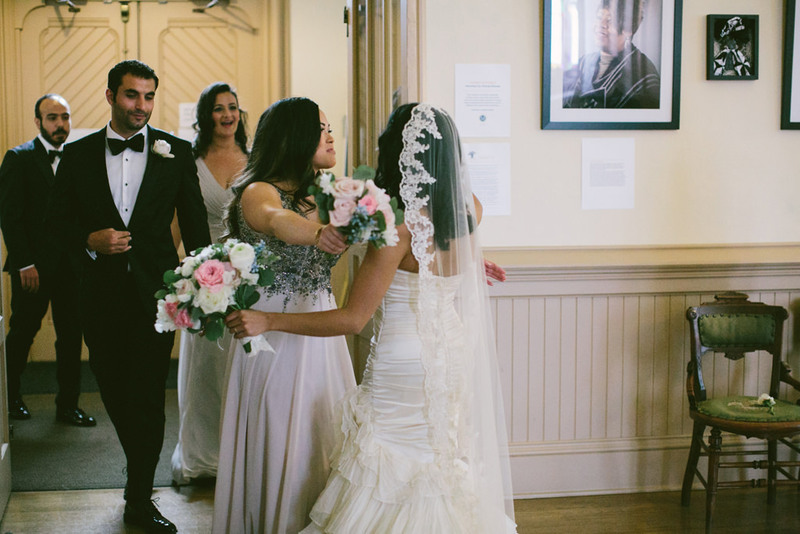 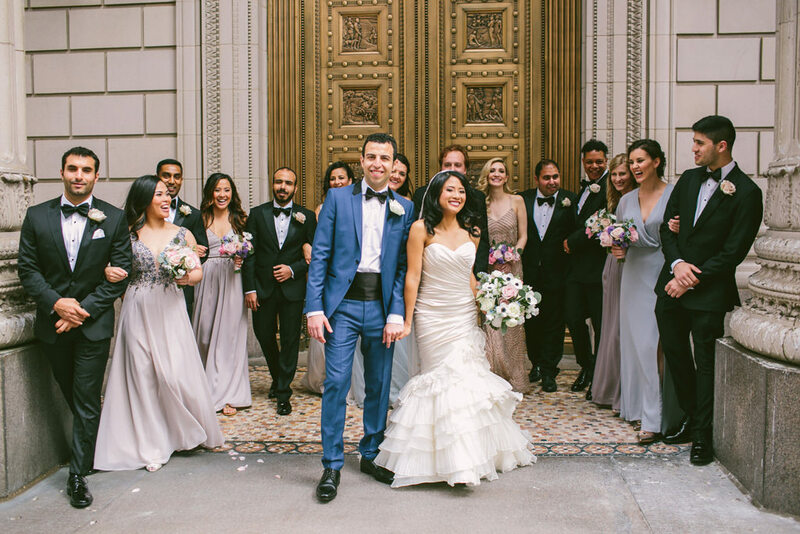 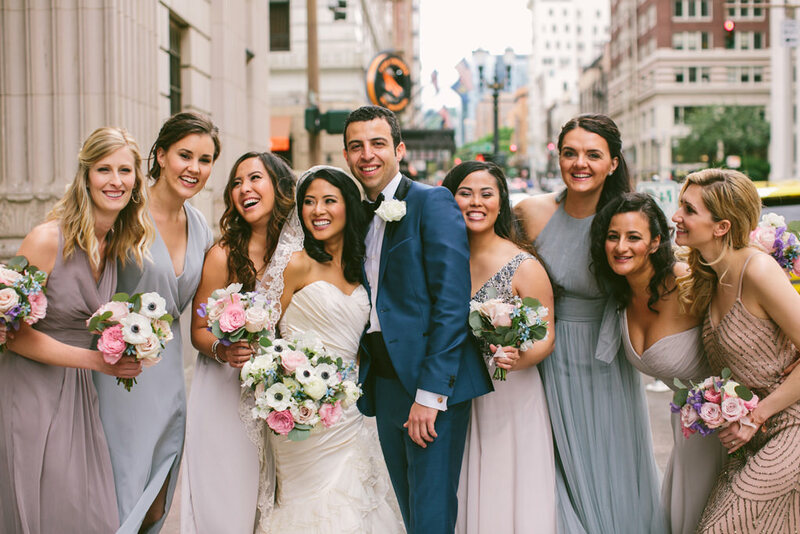 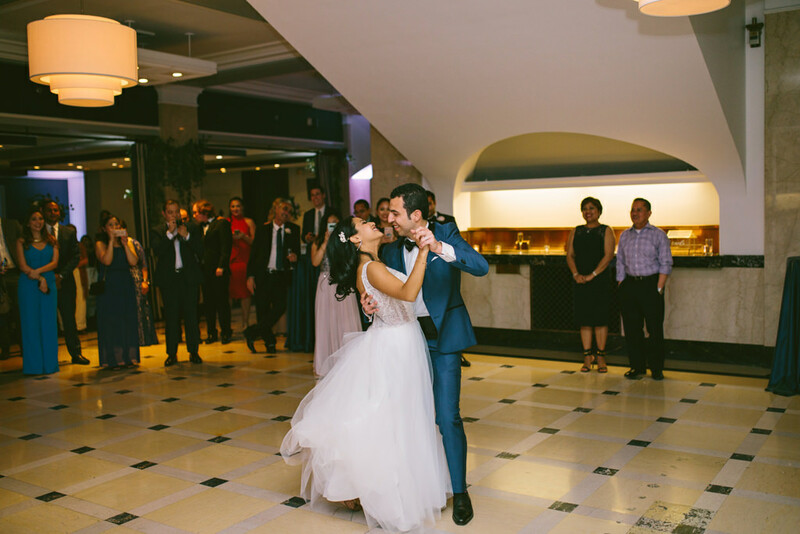 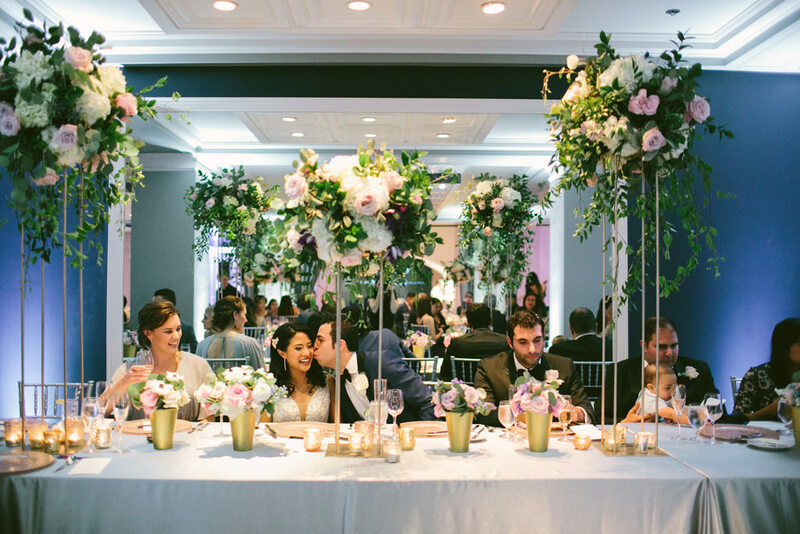 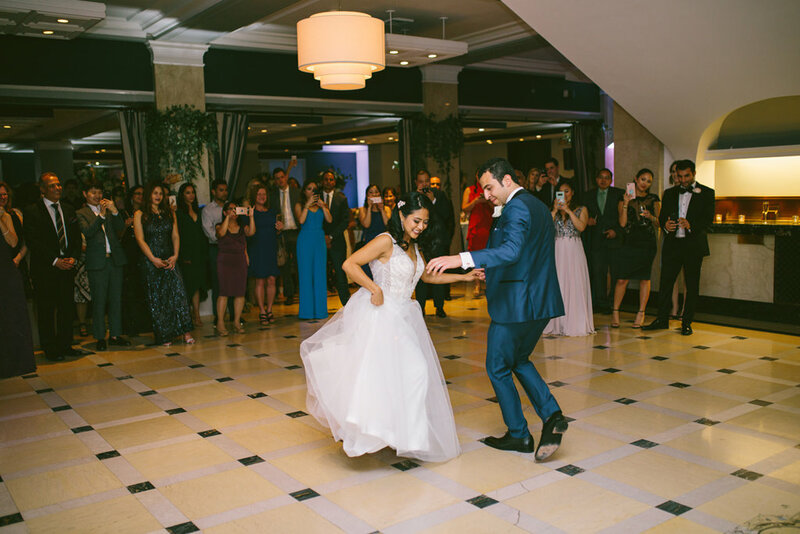 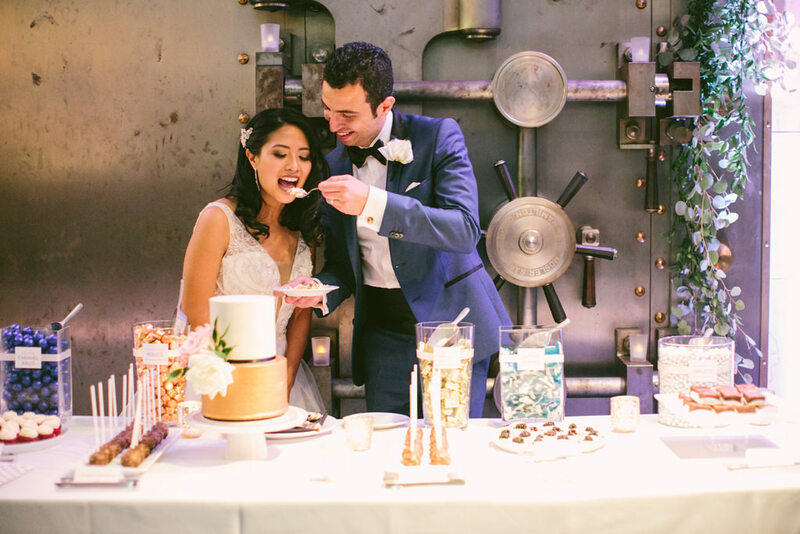 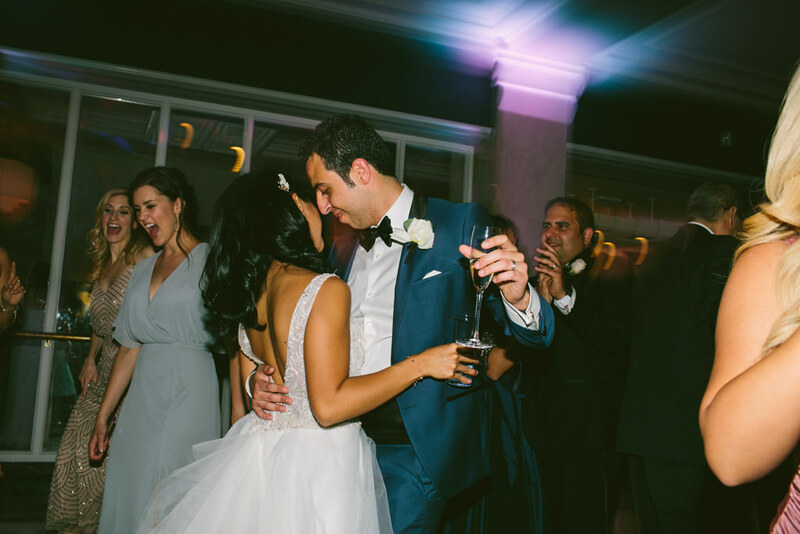 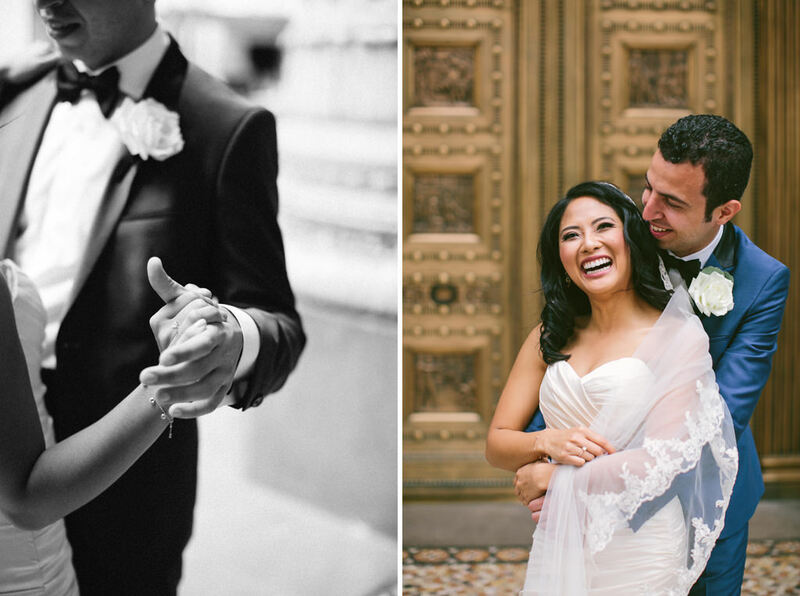 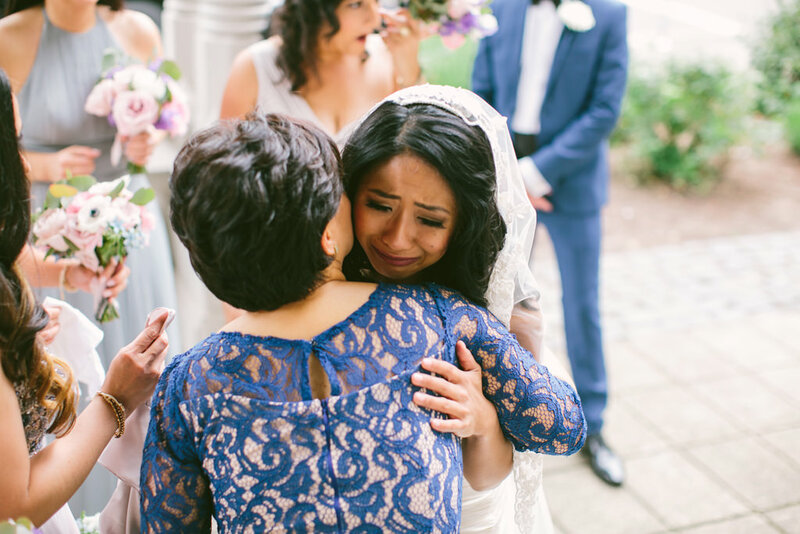 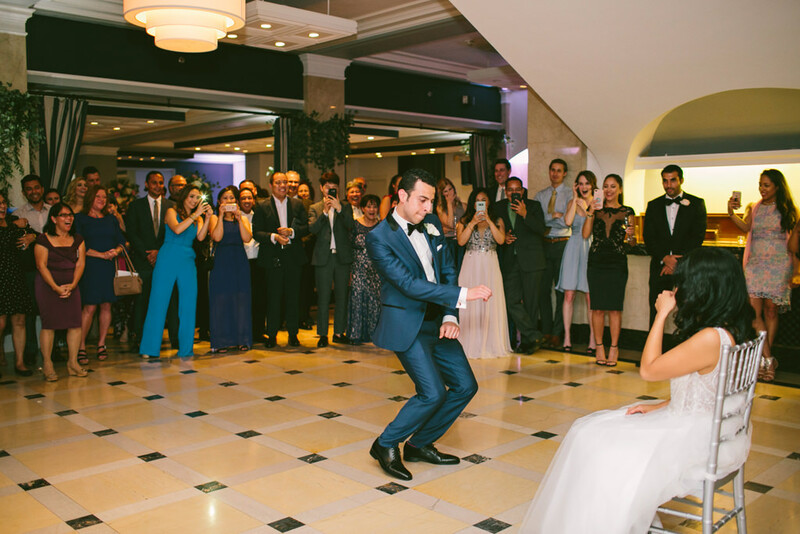 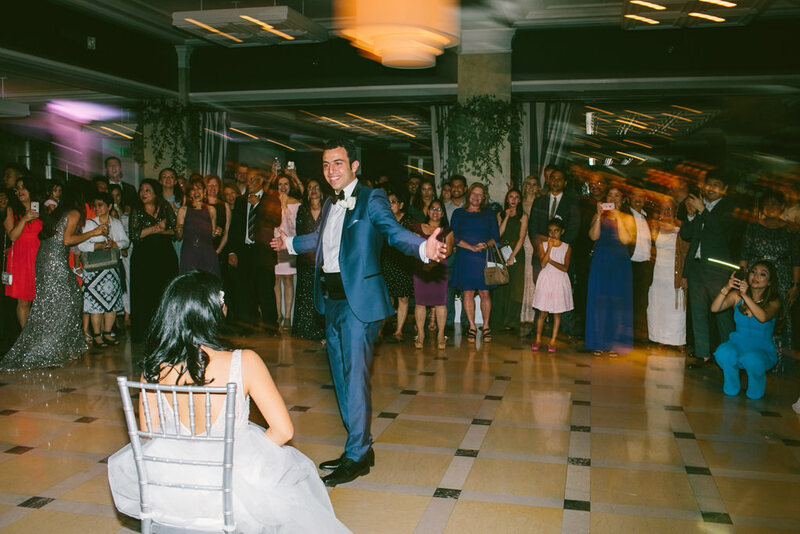 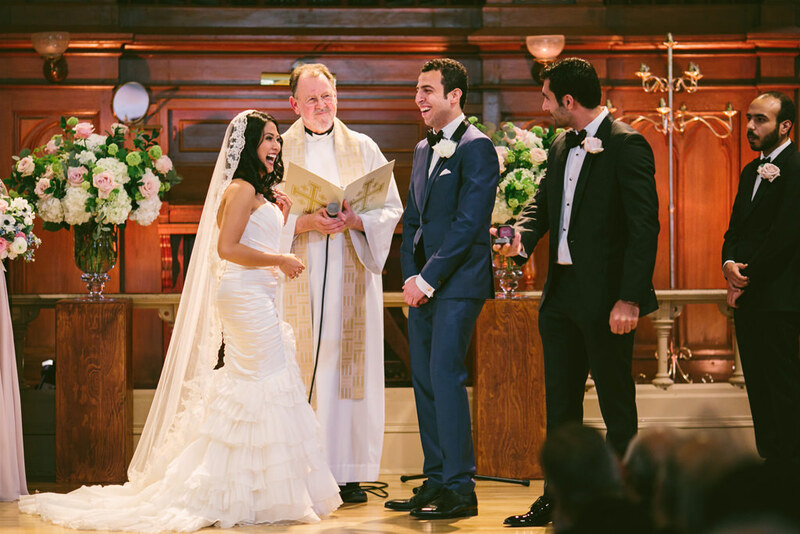 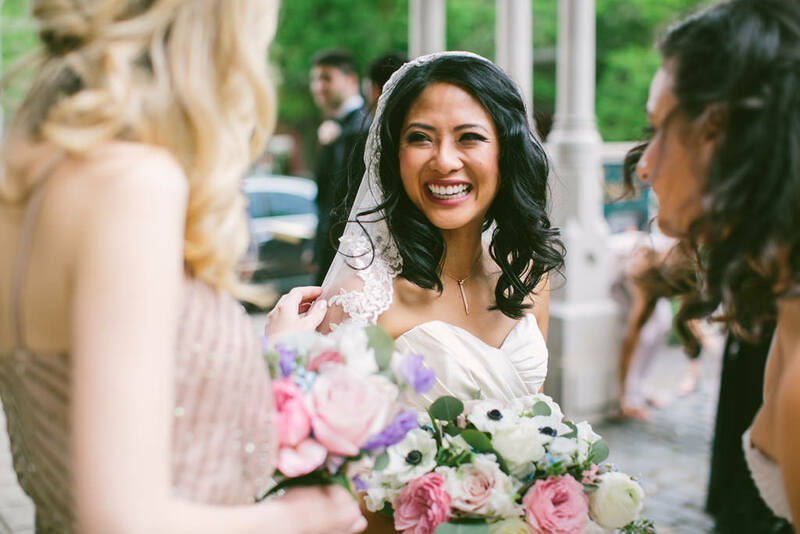 Michelle & Stefano’s wedding at the Treasury Ballroom was full of so much beauty and sweet emotions. 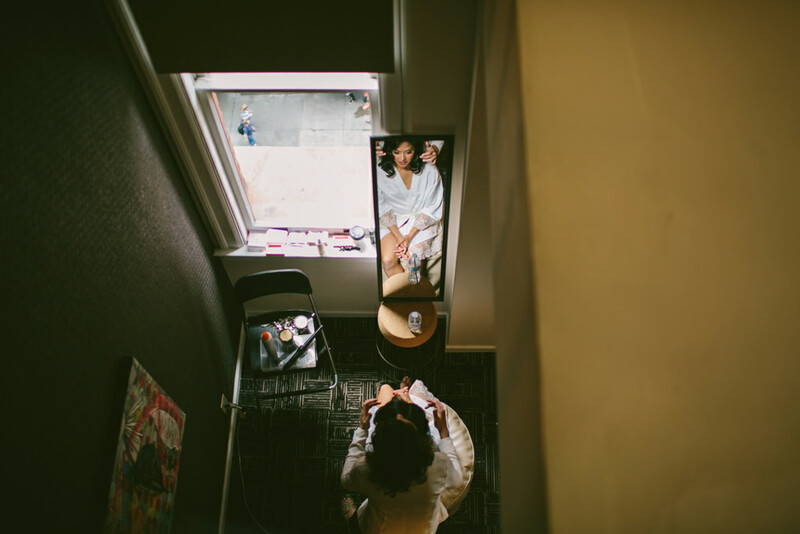 The girls got ready at Hotel Vintage Plaza, where they had their first look and the guys got ready across the street at The Benson. 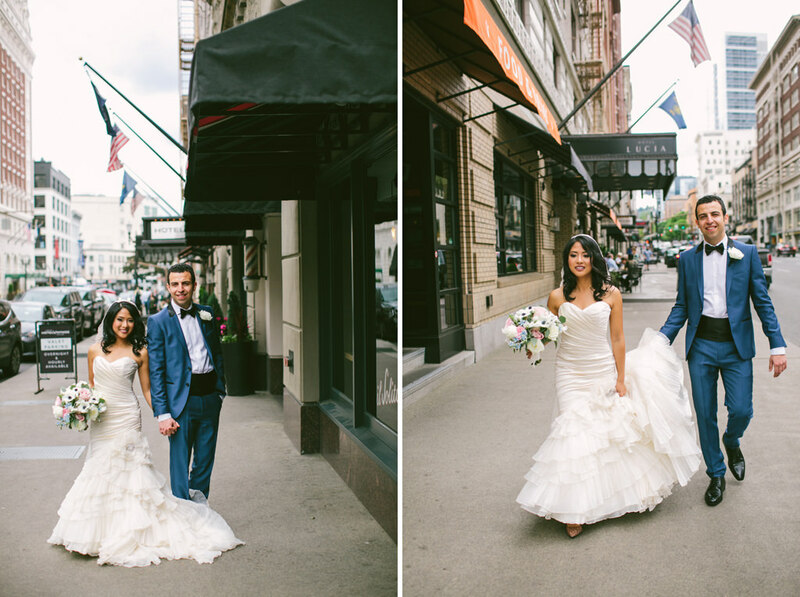 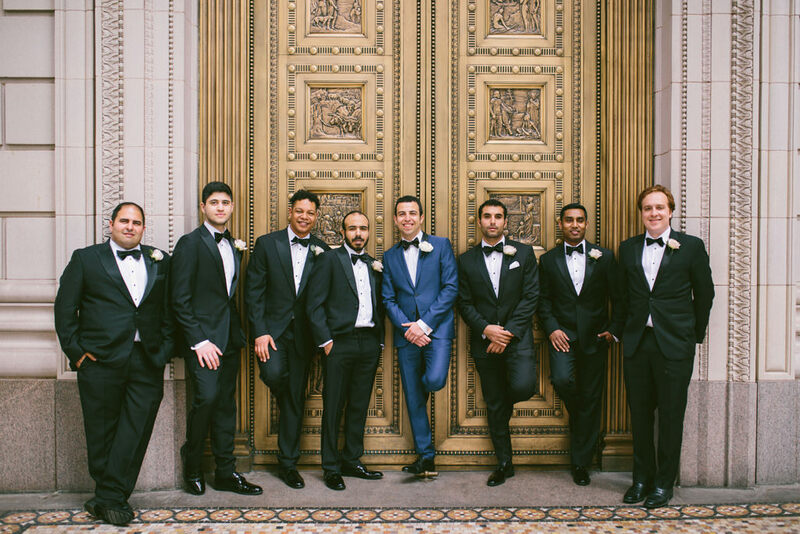 Then all the fun cityscape bride and groom photos and bridal party photos happened on Broadway St. and in front of the Treasury Ballroom, where they had their reception. 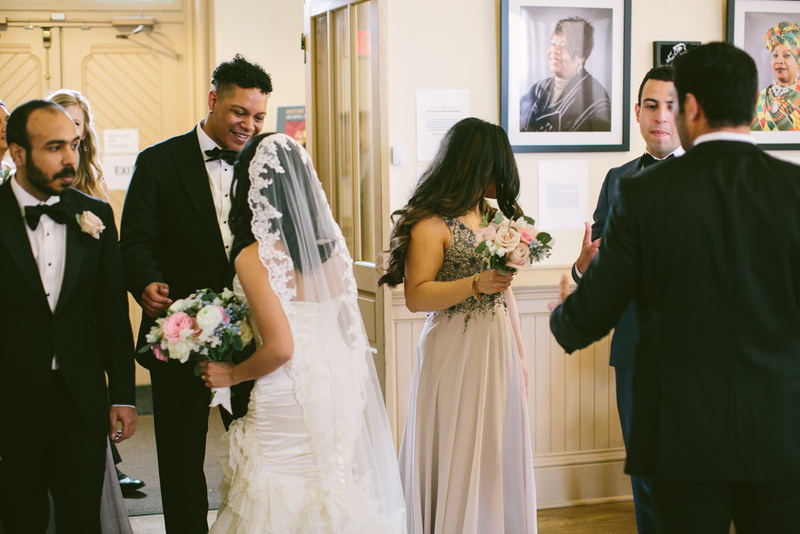 Stefano is from Haiti, and had his family and close friends all fly in for their wedding, it was so awesome. 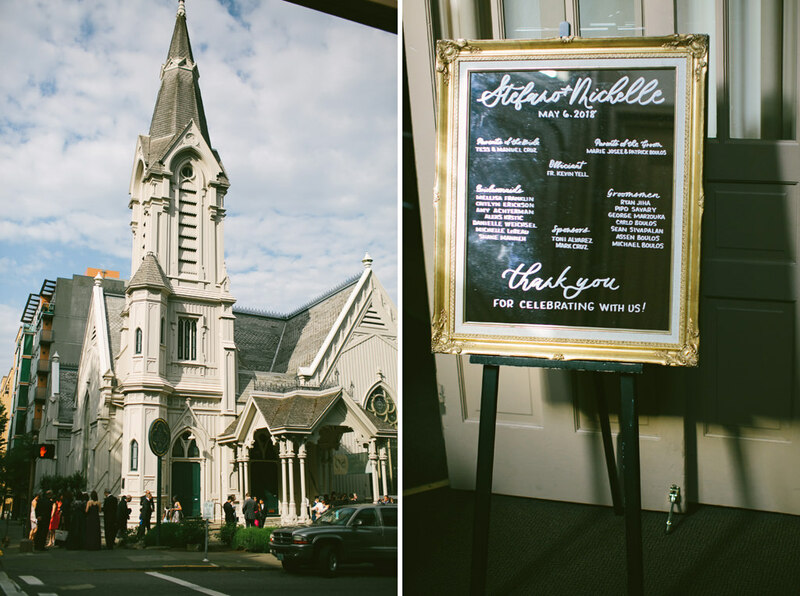 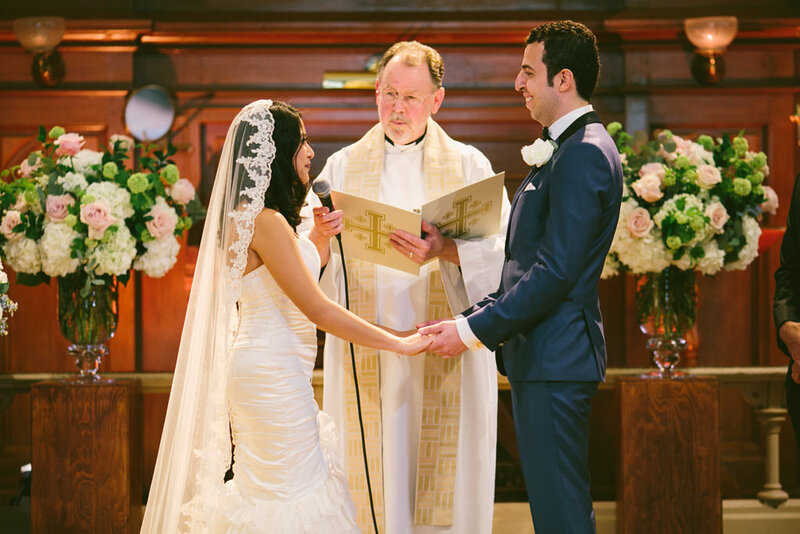 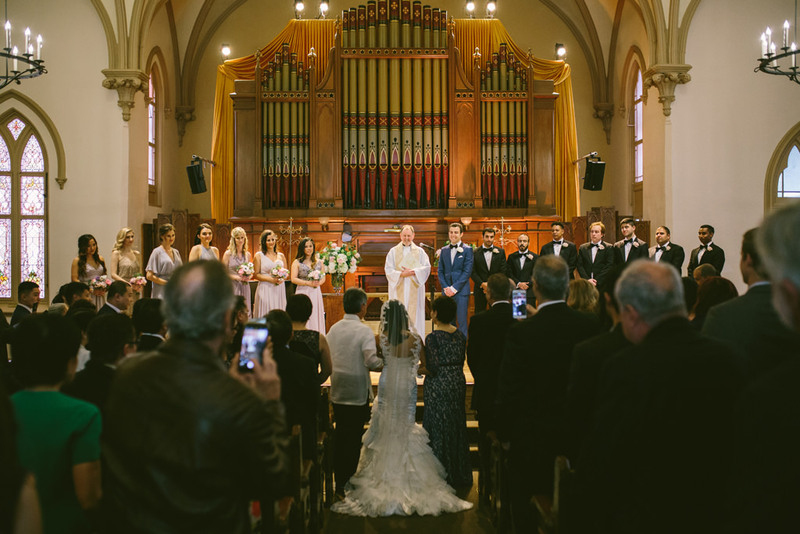 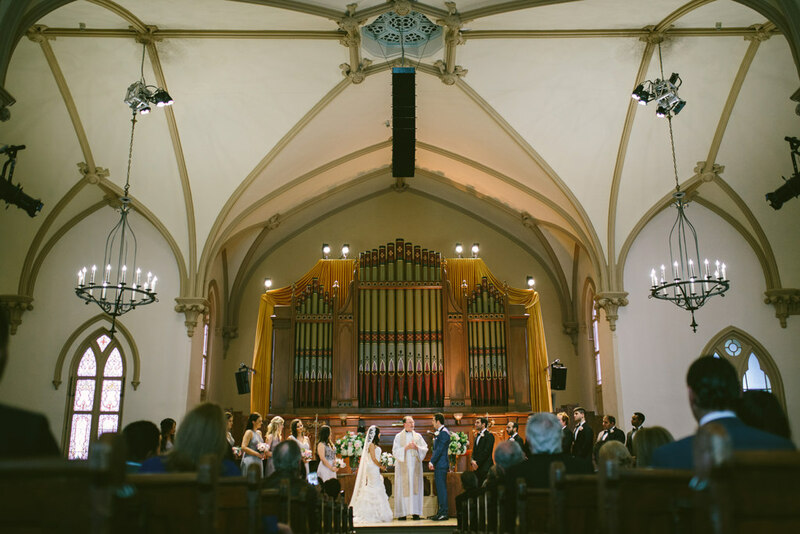 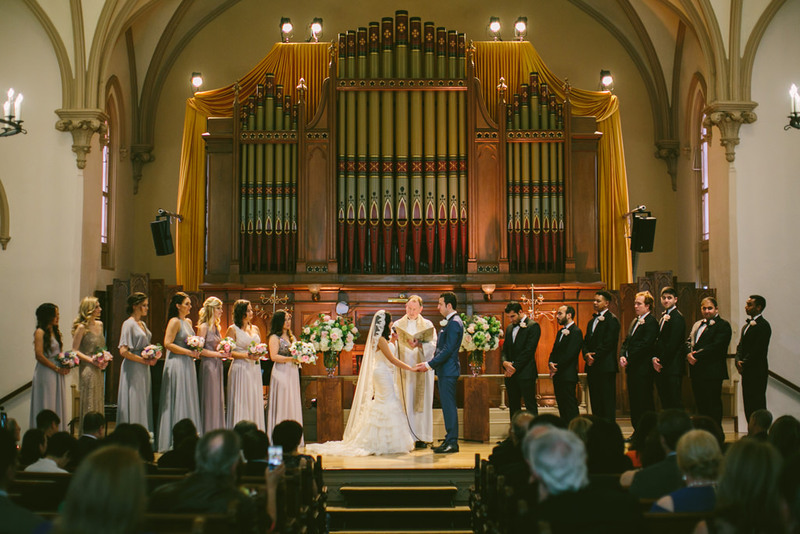 A sweet Mercedes car drove Michelle and Stefano to The Old Church where they had their beautiful ceremony and Duo Con Brio played gorgeous string music. 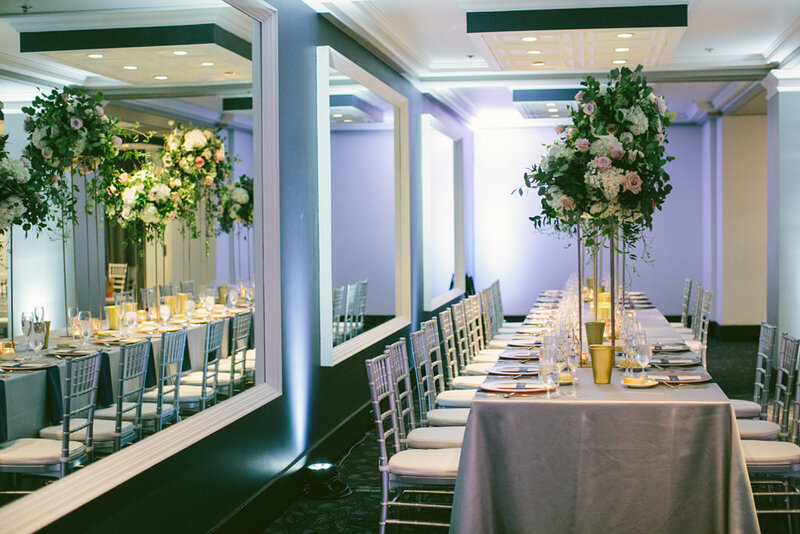 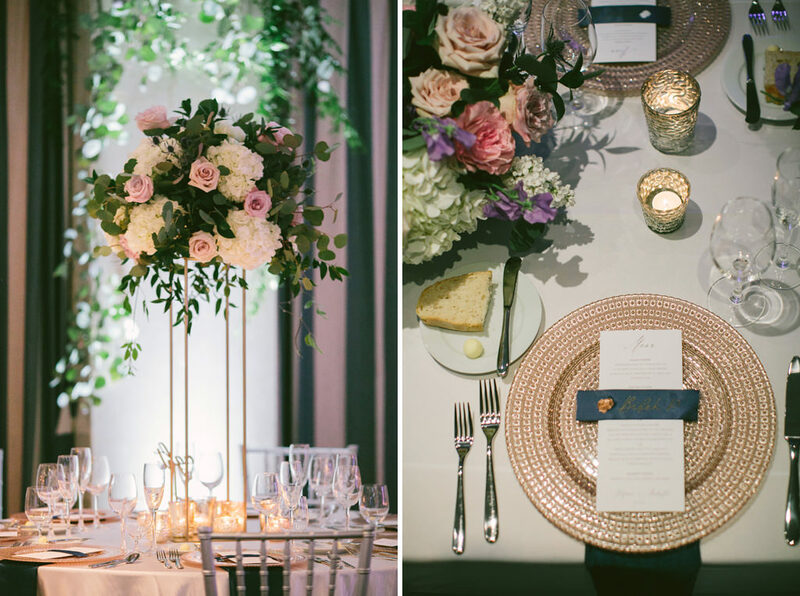 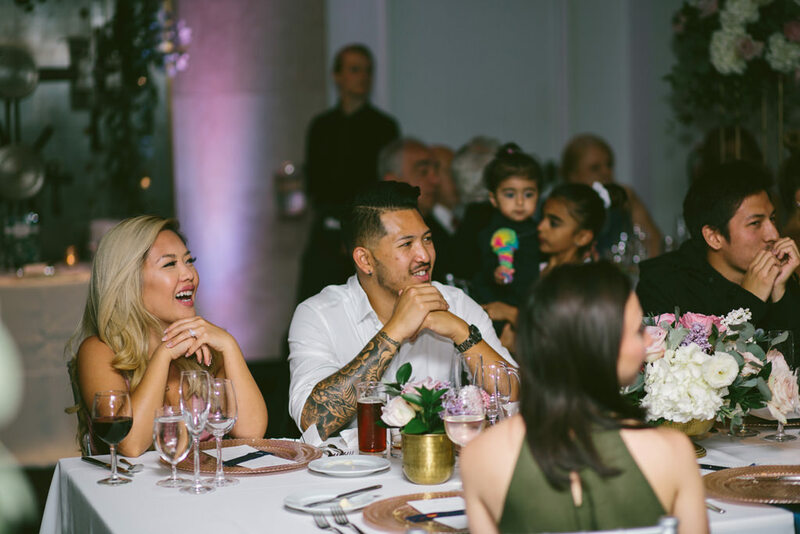 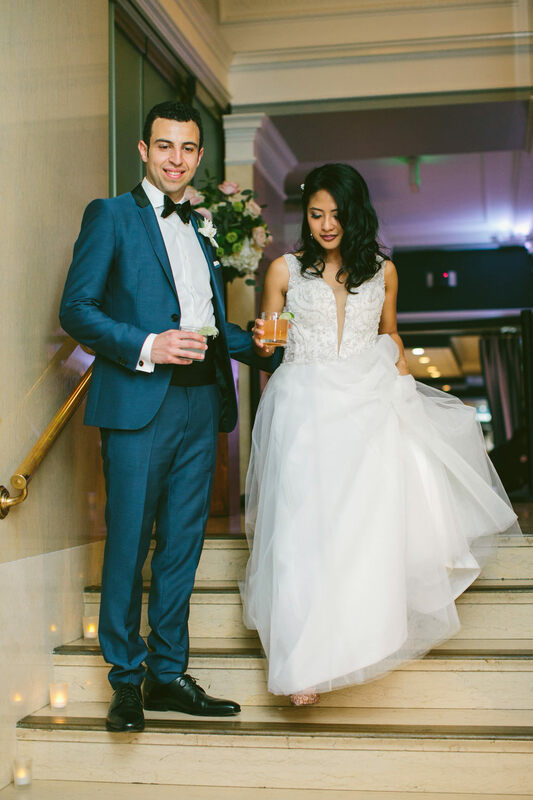 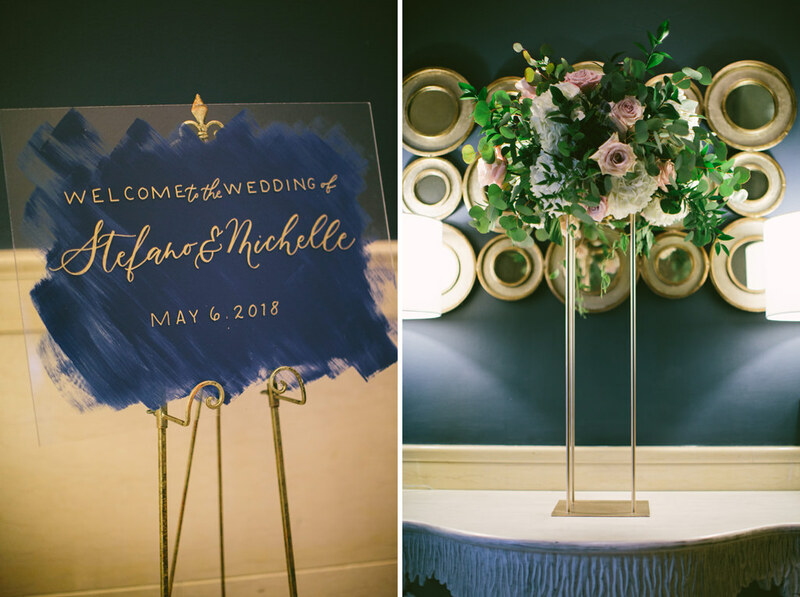 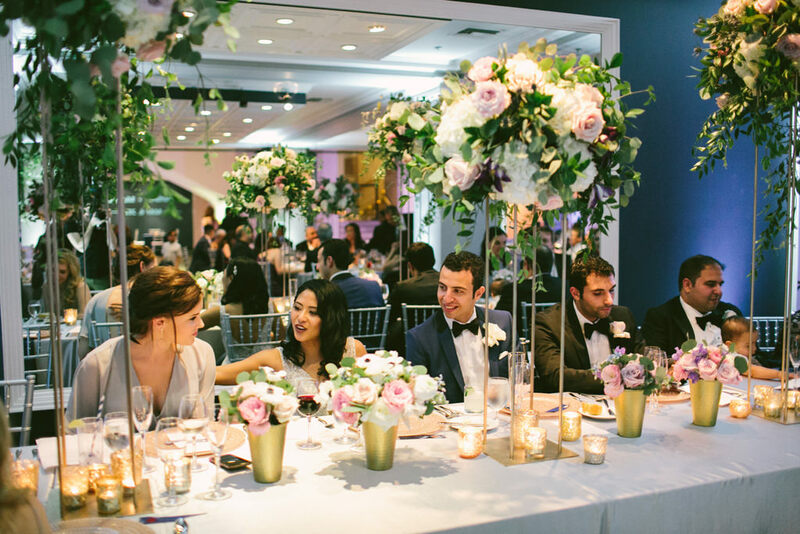 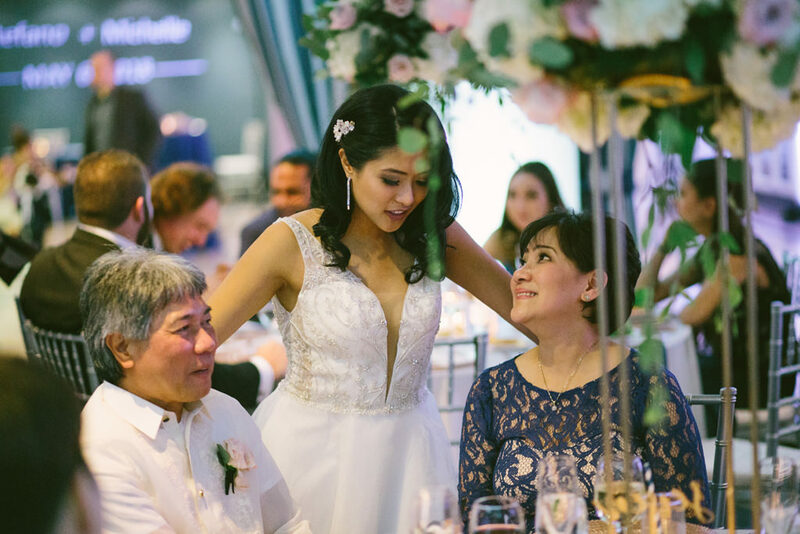 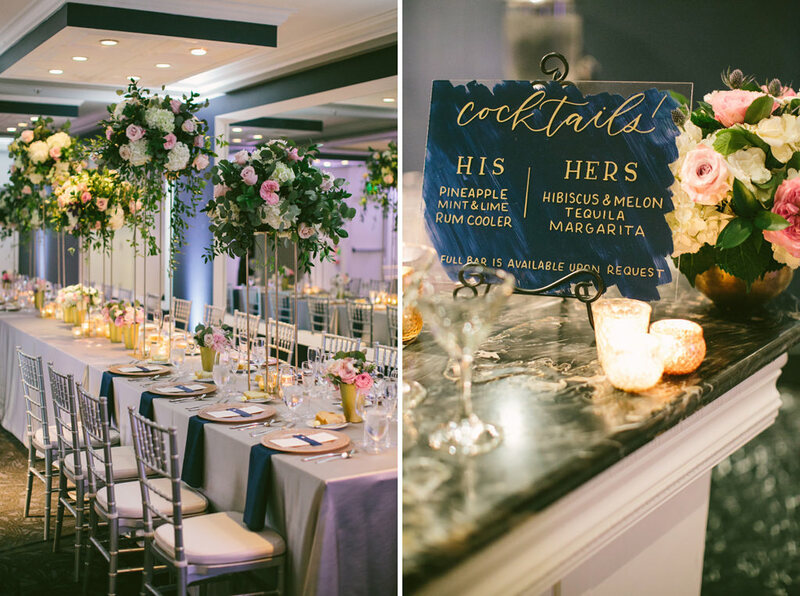 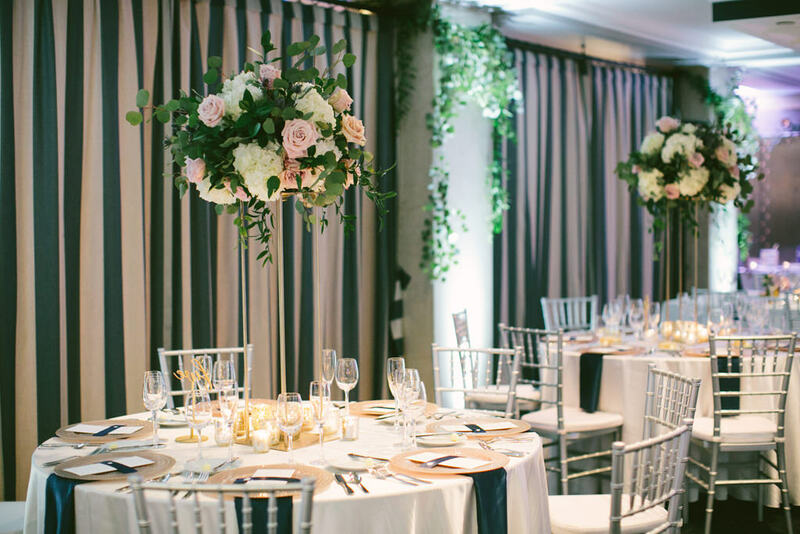 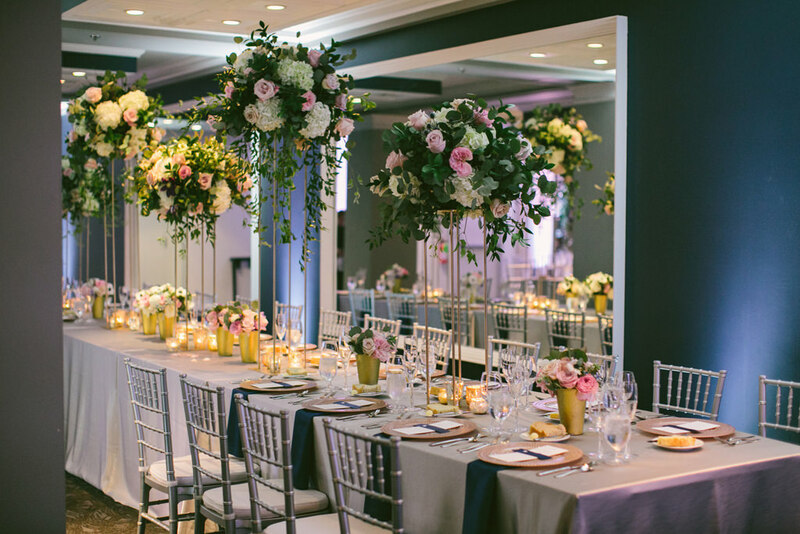 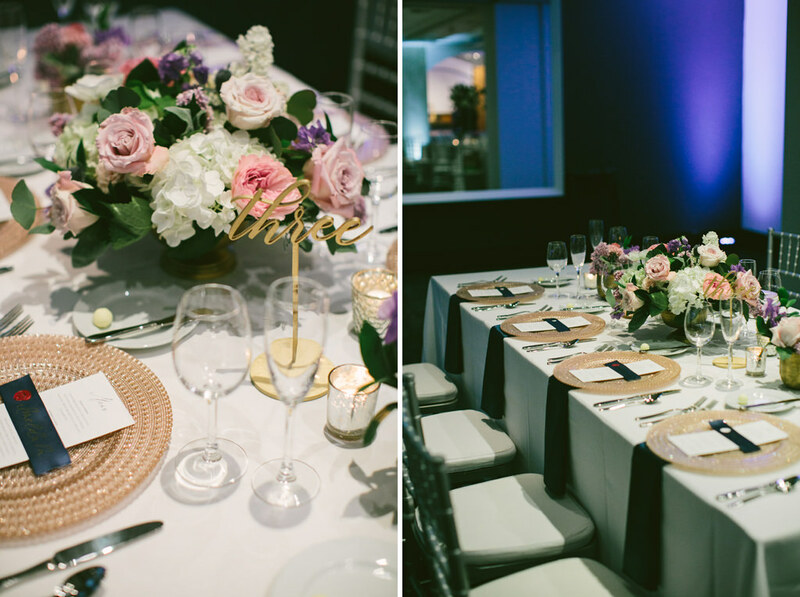 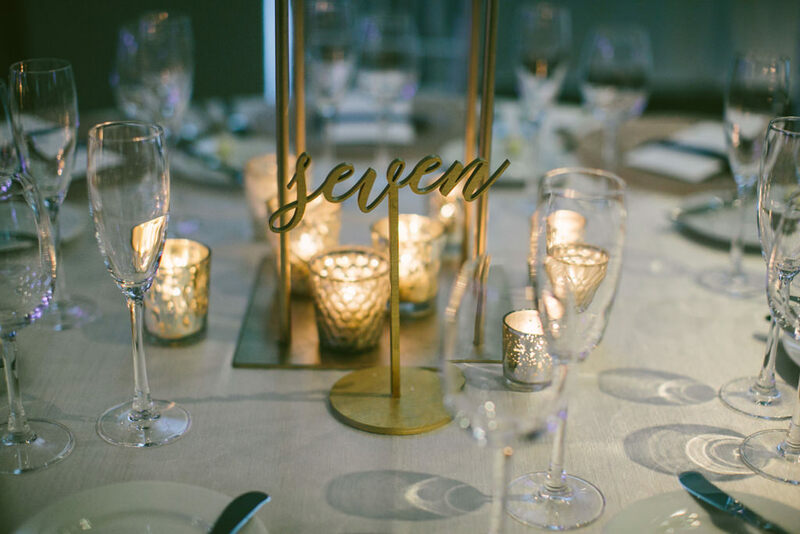 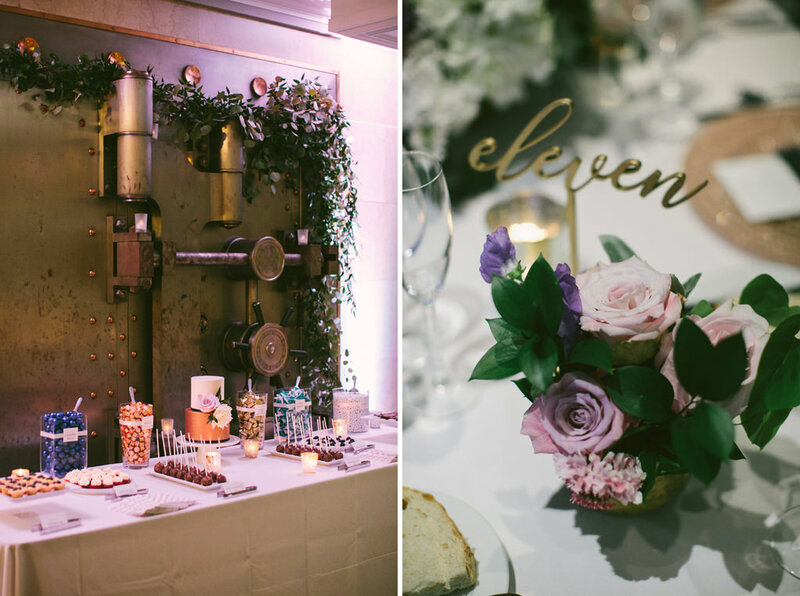 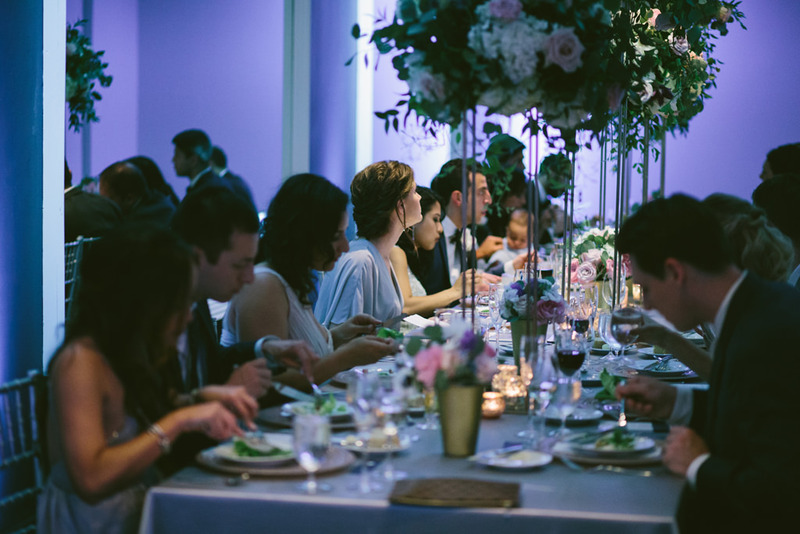 When the guests arrived by shuttle to the Treasury Ballroom after the ceremony, they were surrounded by such gorgeous decor, tasty drinks & nibbles. 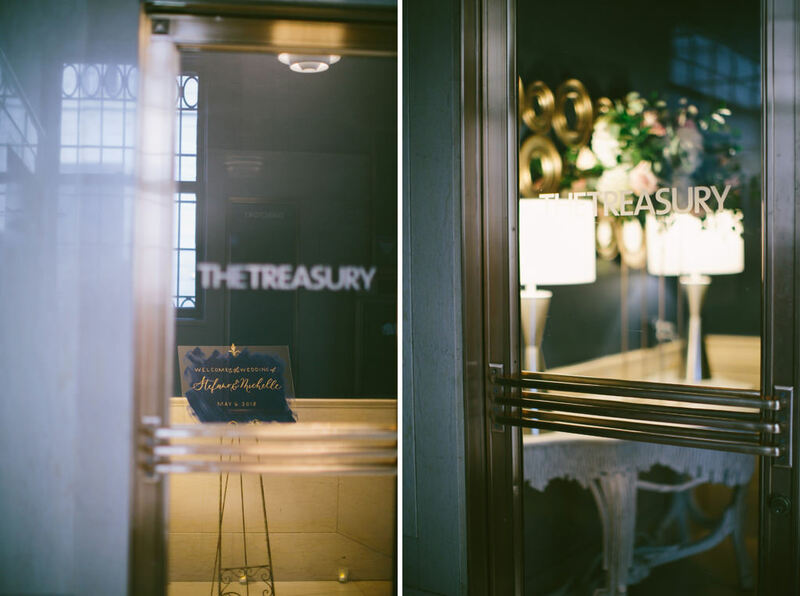 After the cocktail hour finished, the curtains opened up to their reception area in the Treasury Ballroom and it was stunning! 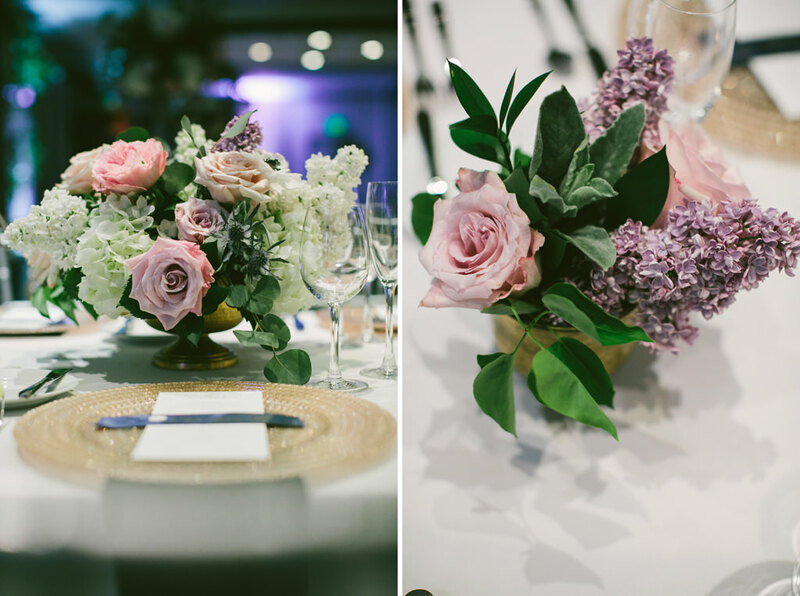 Each table was lined with such pretty flowers and place settings. 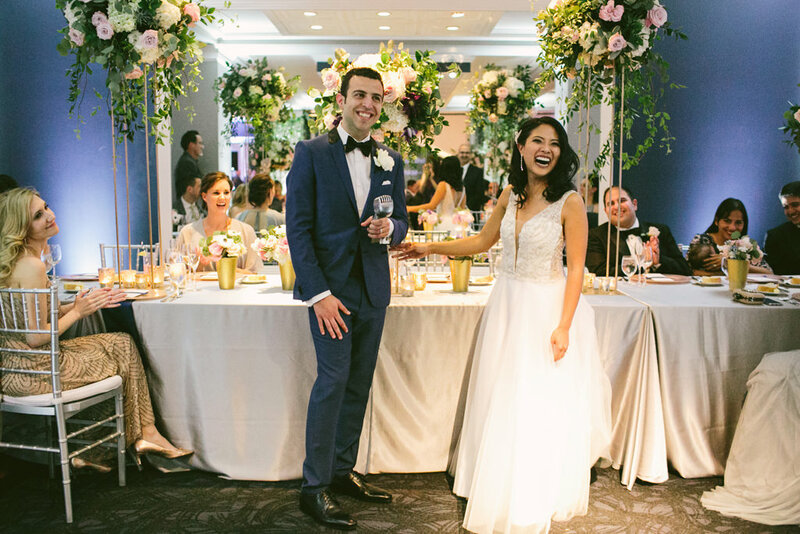 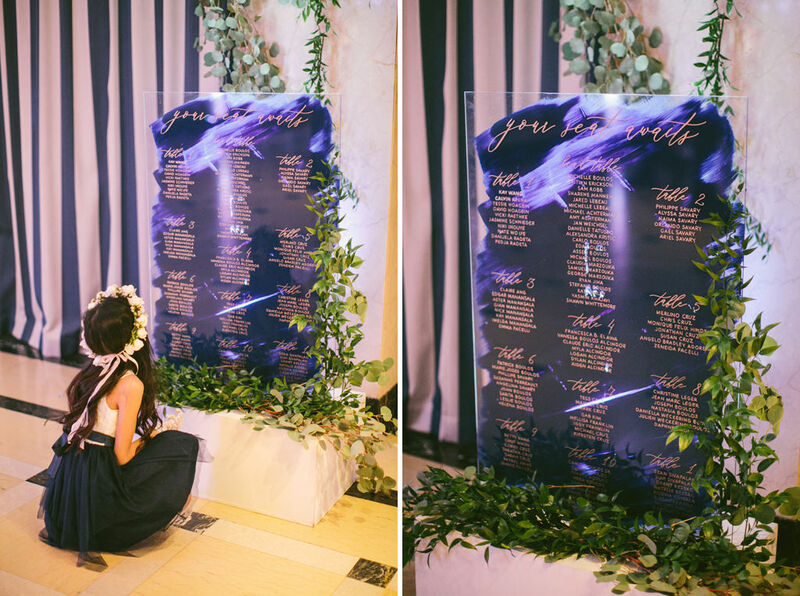 The toasts were the perfect mix of hilarious and emotional! 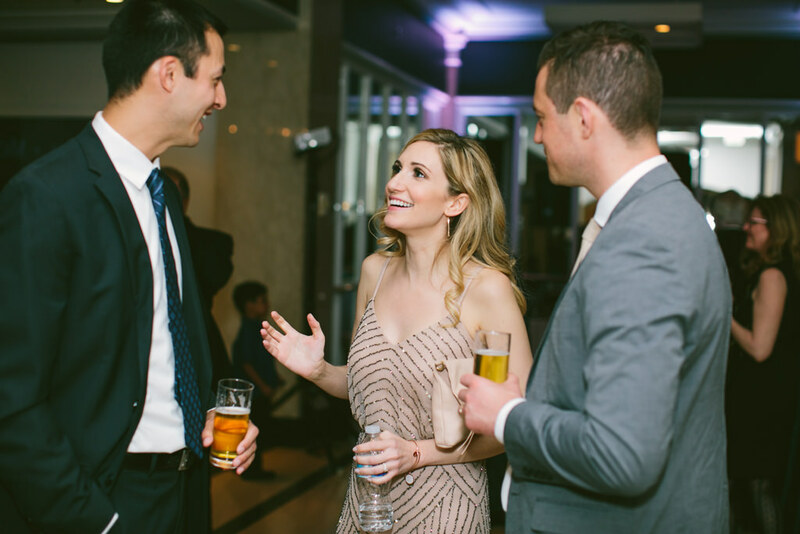 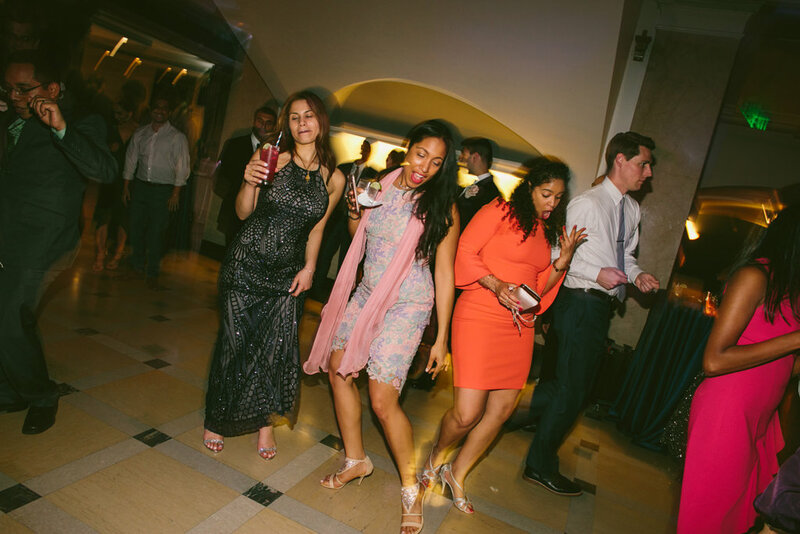 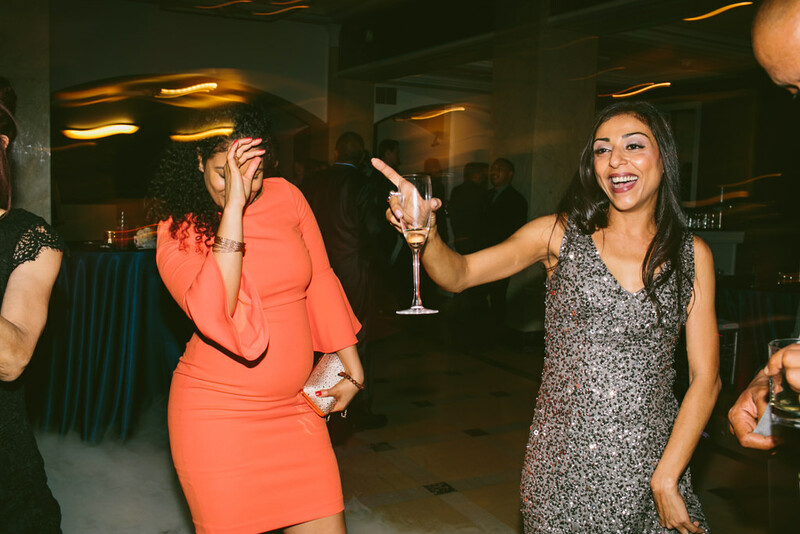 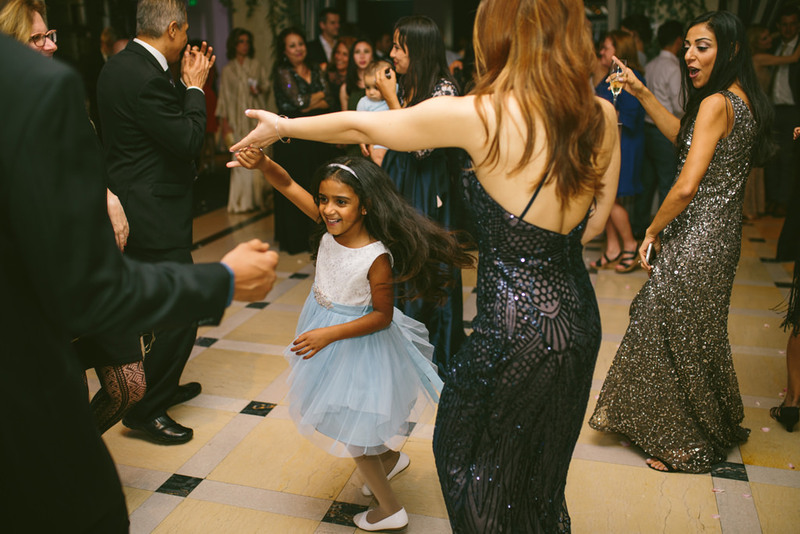 The dance floor was full, and the drinks were flowing all night! 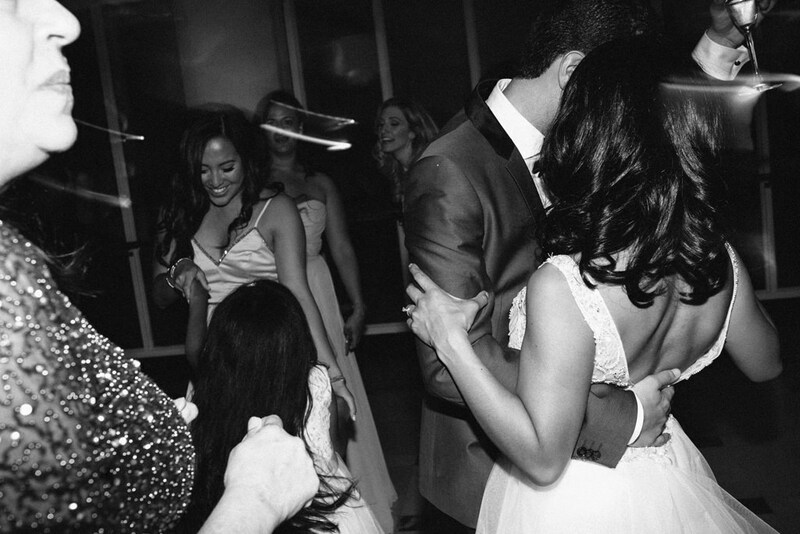 I’m so so happy for Michelle and Stefano! 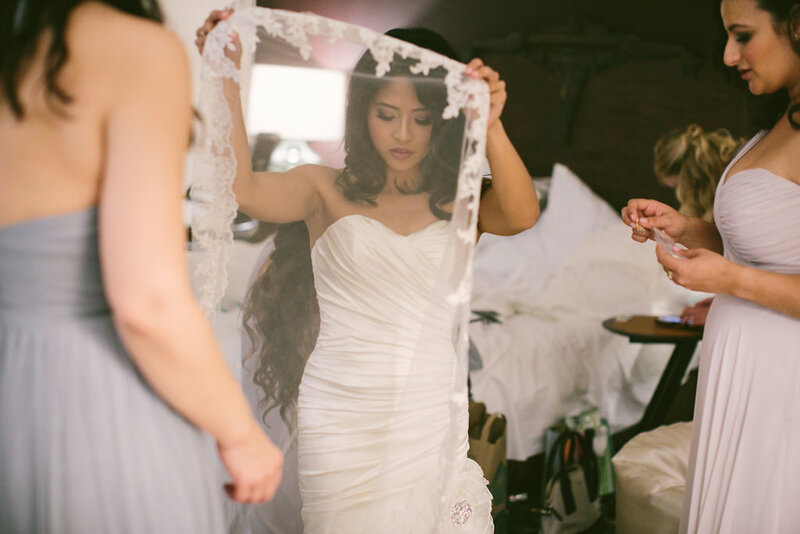 Her veil is so timeless, I love it! 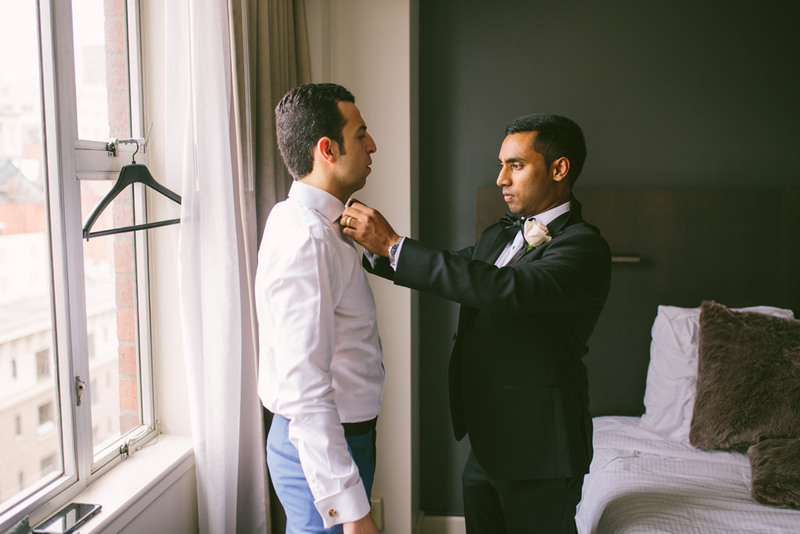 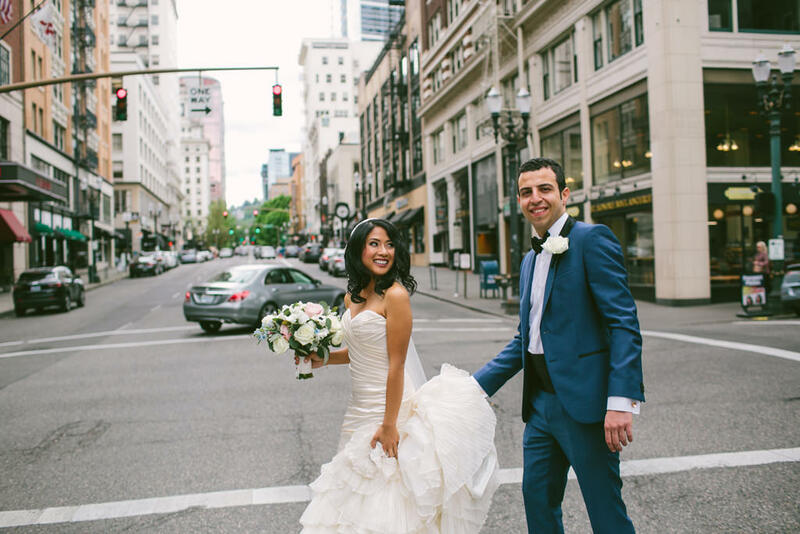 Also loving all the downtown Portland wedding portraits! 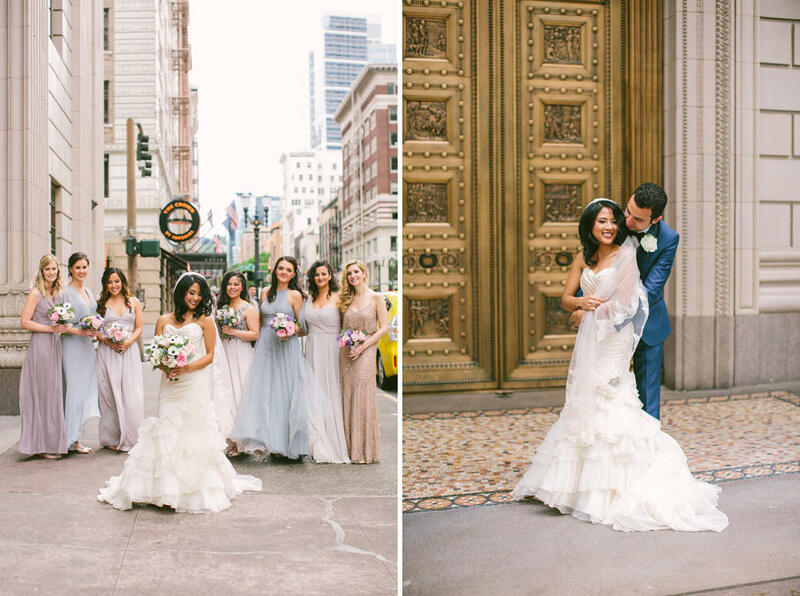 Great use of the city backdrop! 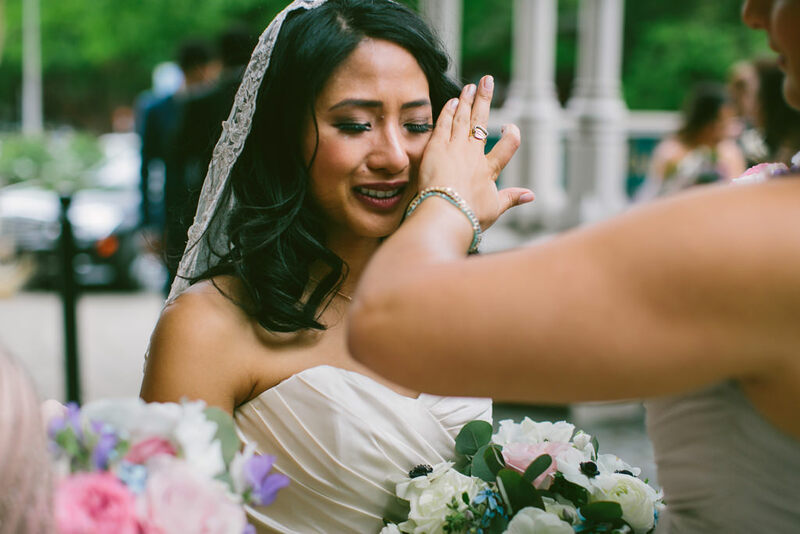 You did such a beautiful job telling the story of their day, capturing all the laughter and tears! 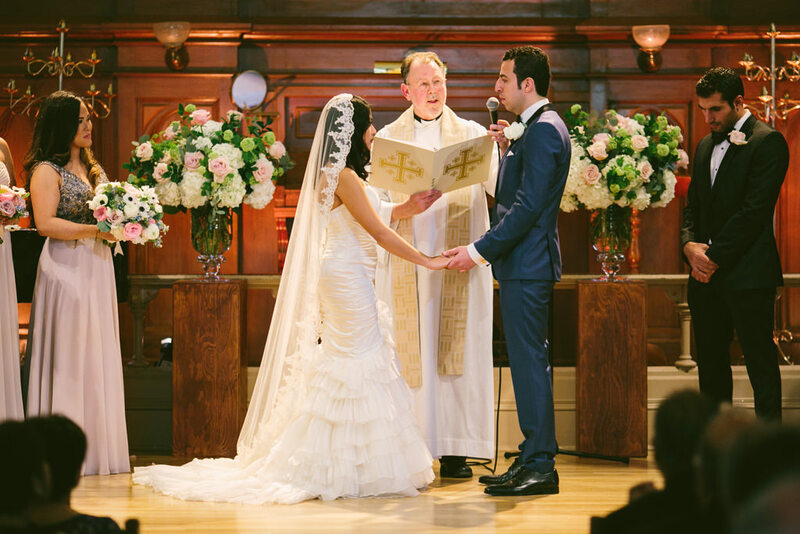 No doubt all involved will be able to relive this day through your story telling. 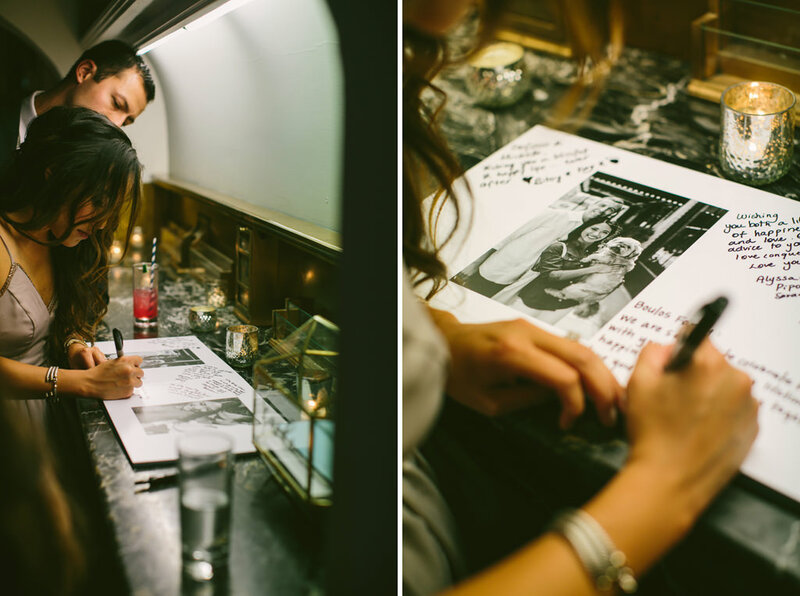 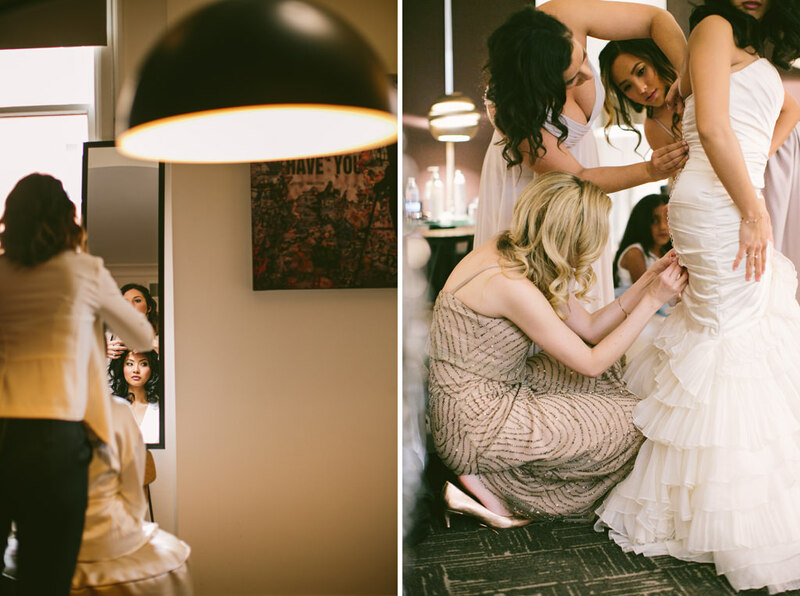 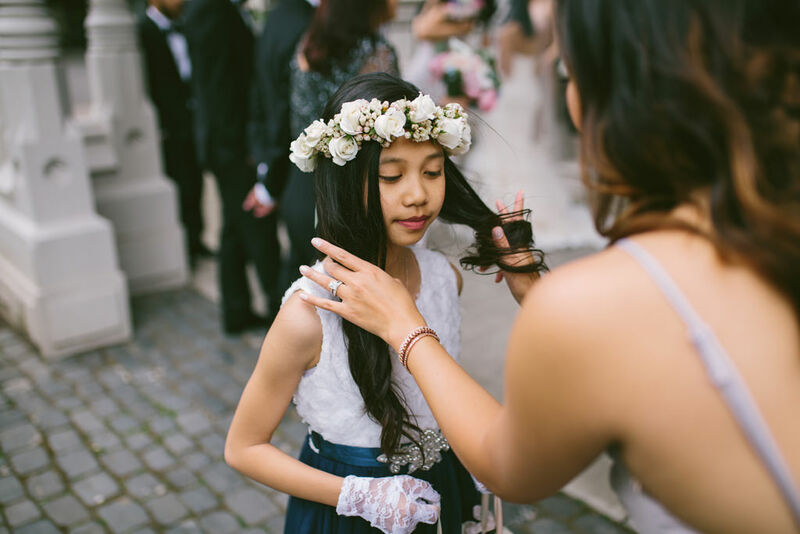 Love all the creative angles you got during the getting ready photos too! 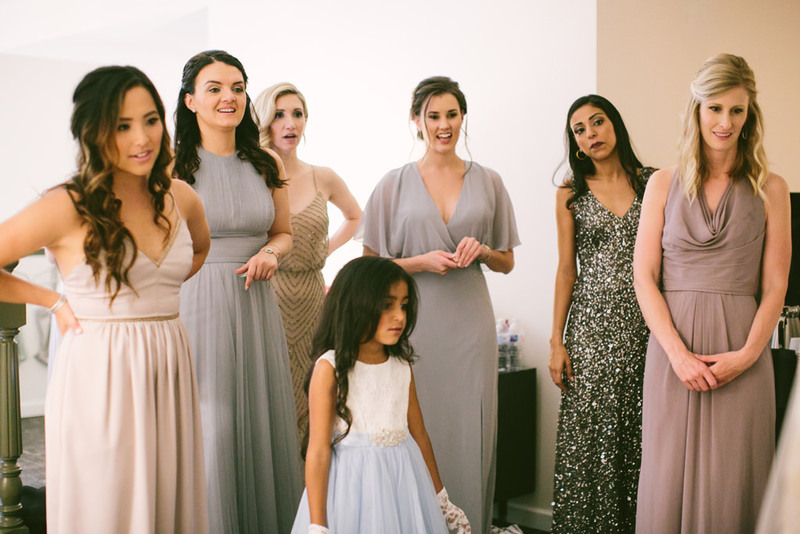 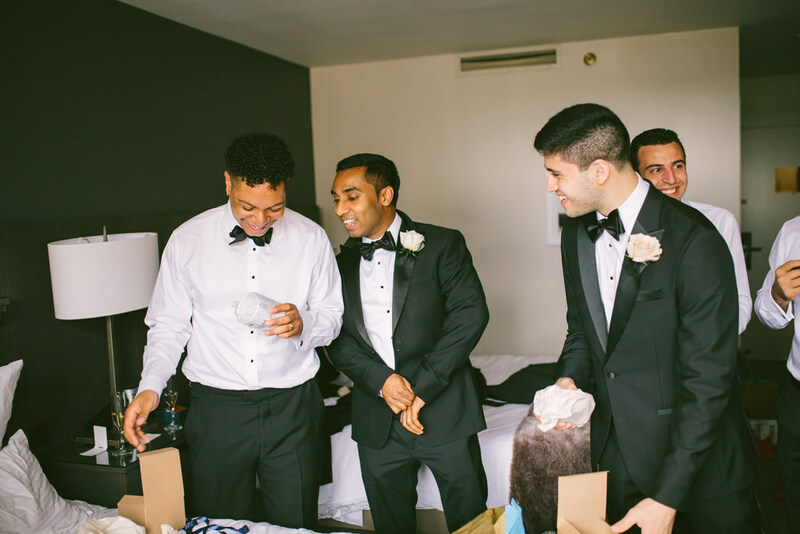 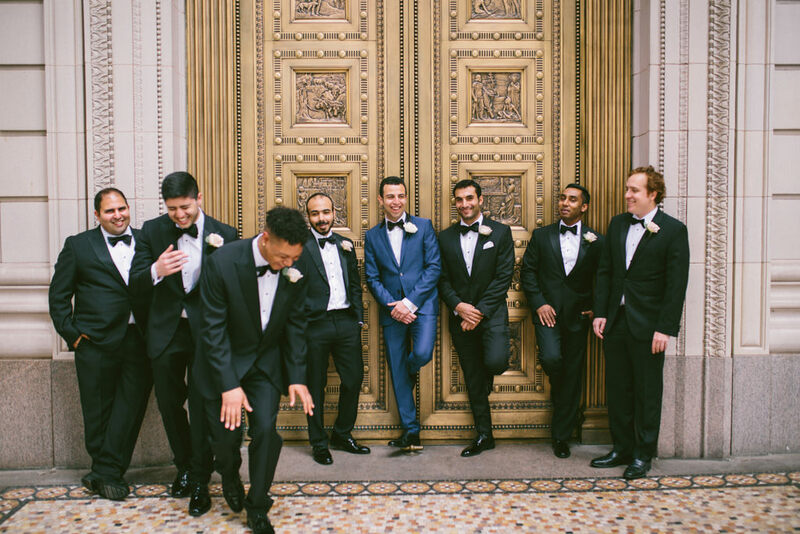 So many good ones but some of those getting ready and emotional ones before the ceremony are killer. 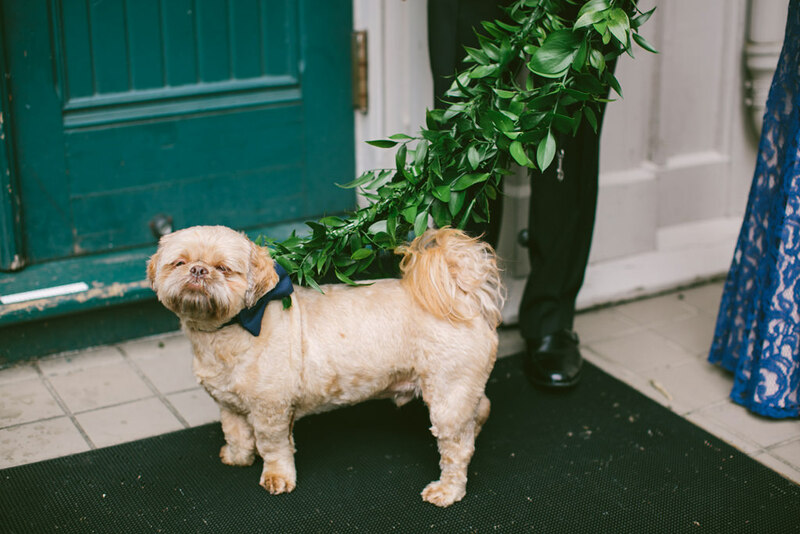 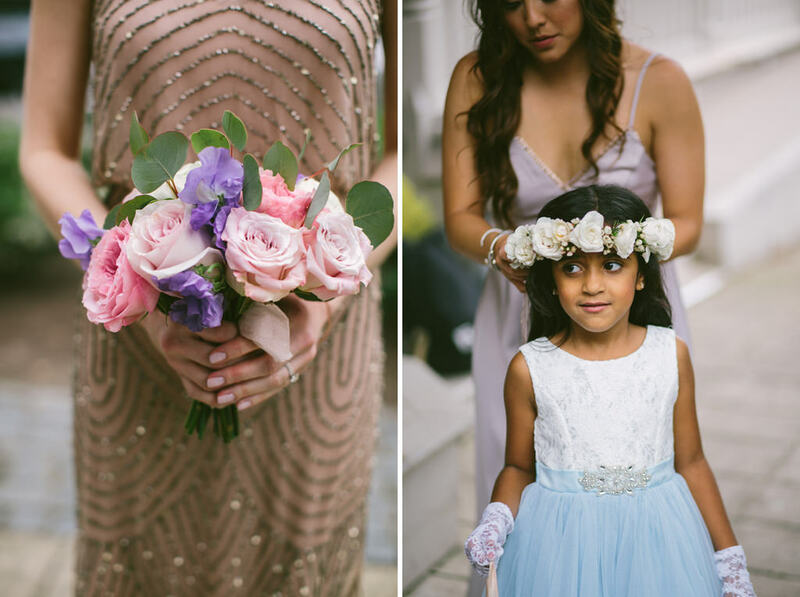 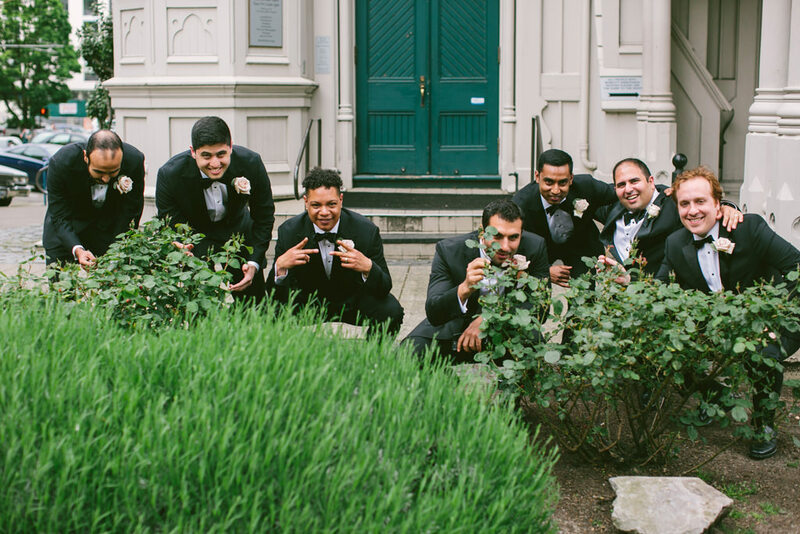 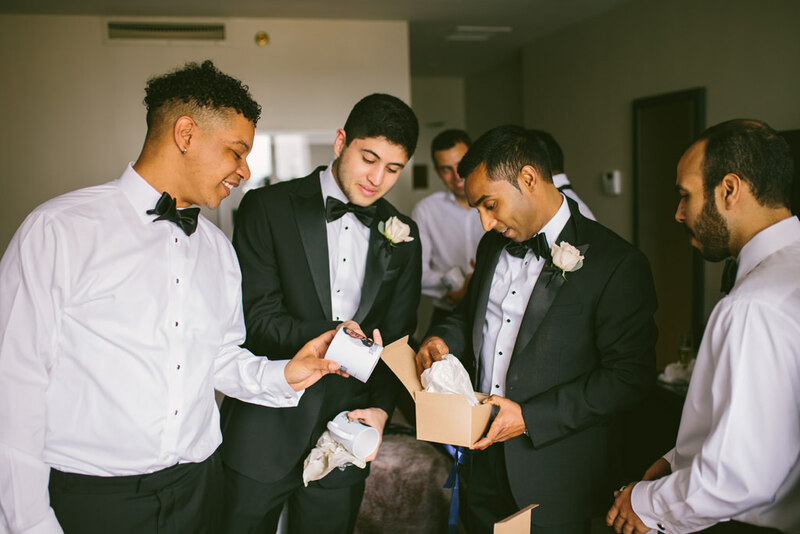 Beautiful job capturing this Portland Wedding 🙂 The dog pic made me smile haha. 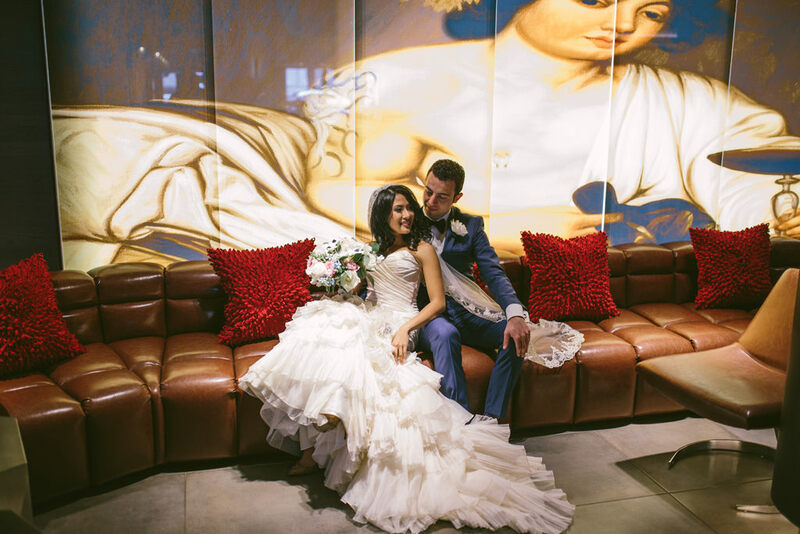 I love your dynamic reception pics and portraits of the B & G!